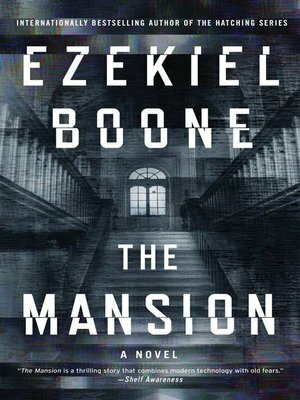 In this white-knuckle thriller from the internationally bestselling author of the "apocalyptic extravaganza" (Publishers Weekly) The Hatching series, a family moves into a home equipped with the world's most intelligent, cutting-edge, and intuitive computer ever—but a buried secret leads to terrifying and catastrophic consequences. But the hard work and escalating tension have not been kind to their once solid friendship—Shawn's girlfriend Emily has left him for Billy, and a third partner has disappeared under mysterious circumstances. While Billy walks away with Emily, Shawn takes Eagle Logic, which he uses to build a multi-billion-dollar company that eventually outshines Apple, Google, and Microsoft combined. Years later, Billy is a failure, beset by poverty and addiction, and Shawn is the most famous man in the world. Unable to let the past be forgotten, Shawn decides to resurrect his and Billy's biggest failure: a next-generation computer program named Nellie that can control a house's every function. He decides to set it up in the abandoned mansion they worked near all those years ago. But something about Nellie isn't right—and the reconstruction of the mansion is plagued by accidental deaths. Shawn is forced to bring Billy back, despite their longstanding mutual hatred, to discover and destroy the evil that lurks in the source code.